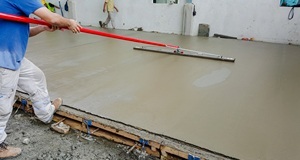 We offer a full line of hand tools for the concrete floor and paving professional. The Bump Cutter is an essential tool for flat floor construction. 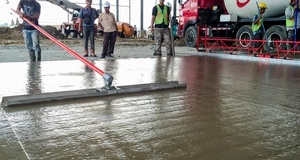 It enables the user to correct the floor flatness by cutting down high spots and filling in low spots after the concrete has been floated. These are available in 8′, 10′, 12′, 14′, and 16′ lengths, although 10′ (3.1m) is our most requested size. Our Allen magnesium bump cutters, come complete with equalizer, outriggers, and three 6′ snap handles. The Check Rod is another tool most often used on super flat floors. 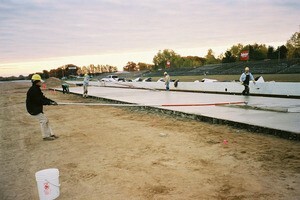 This tool is used after the concrete has been screeded in lieu of a bull float or channel float. 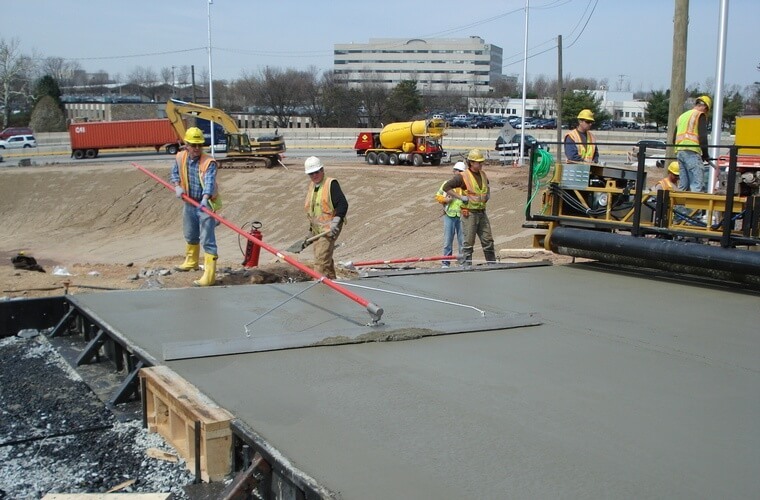 While the concrete is still plastic or quite wet, this tool will fill in low areas and correct bumps in the surface. These are available in 8′, 10′, 12′, 14′, and 16′ lengths, although once again 10′ (3.1m) is our most popular size. Our Allen magnesium check rods come complete with equalizer, outriggers, turnbuckles, and three 6′ snap handles. We offer a great variety of channel floats and magnesium bull floats. The can be custom configured with your desired bracket and handles. The channel float is used on larger and flatter floors and pavements. These come in 5′, 6′, 8′, 10′, and 12′. The Allen magnesium channel floats, come complete with equalizer, outriggers, turnbuckles, and three 6′ snap handles. Receive more information on this Product Category in your email.